While social media and the internet can certainly be used to hold people accountable for gross and evil actions, it can also damage someone and their business with false accusations. This is what happened to Green Delights Westgate. According to reports, her business was greatly affected when people accused her of selling pork in her dishes even when she was certified as halal. mrbrown, Singapore’s fatherblogger, called for support for Green Delights stall, after netizens mistakenly called the business out simply because the halal sign was next to the adjacent stall’s advertisement for pork belly rice. 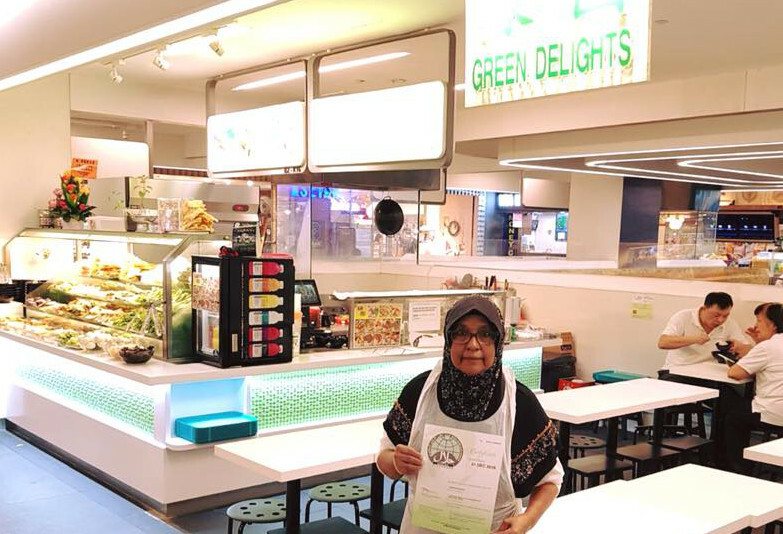 According to reports, Green Delights’ business had slowed, with its owner, Madam Sakina Abdullah, 67, noting that they were affected because of the photos that spread through social media, accusing their stall of selling pork dishes. If netizens had only checked, they would have found that the stall and the owner were featured in a Halal council’s Facebook page called Cinta Halal Consultants, congratulating the stall for attaining its MUIS Halal Certification in December 2017. What did the noodle stall selling pork rice beside Green Delights have to say? Reports said that both Green Delights and the noodle stall that had the advertisement had no hard feelings with each other. They both said that no one wanted anything untoward to happen, and that everything was blown out of proportion by people on the internet. The owner of Green Delights said that they just want to move on from this matter. The poster featuring the pork belly rice has already been taken down. When has the internet lynch mob gotten it wrong? Just last year, people misidentified a couple who allegedly pushed an elderly man in a line. Within moments of the video going viral, people were on a witch hunt for the couple, and wrongly accused someone. Online news portals quickly apologised for the incident and verified that the woman was not the person who pushed the old man. 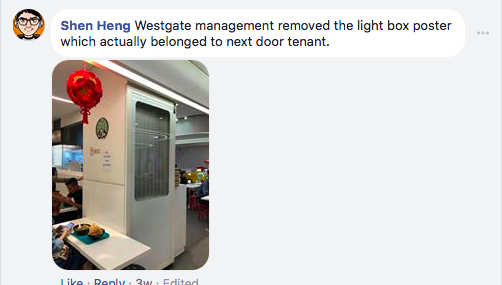 Singaporeans chimed in one this issue, and expressed different opinions on the incident: Some people couldn’t understand how Singaporeans could have gotten it wrong. Others were able to say that they would give solid support for Green Delights. Some gave a visual update on the situation and noted that the poster was indeed taken down. Others showed support by saying that they had already eaten there before. They even recommended some specific dishes for people to try. Others praised mrbrown for taking the time to help the stall out. While others berated their fellow netizens, reminding them to check facts and verify first before doing anything online. Some conformed that the place was halal and that they had eaten there before and found the prices reasonable. Header image from Cinta Halal Consultants Read about Lim Kwong Fei and how he really plowed down 4 people with his car, leaving them bleeding on the street. NextMICHELIN Guide Street Food Festival returns to Singapore for the 2nd year running!